In the fishing world, Red October is about 40 plus inches of teeth and slime; the ultimate heat seeking eating machine of the shallows in spring. No other fish dominates in the spring like a big gator. It fears nothing and everything else that swims in its neighborhood is fair game to become a snack. I hear all the time that spring pike fishing is easy, but try looking for a trophy on a big body of water like Georgian Bay in early May and you’ll change your tune pretty quick. So you want to catch one and have no idea how or where to go? Well I’ll try and help you with that. I’m not going to repeat what I saw on TV, read in a magazine or tell you what you want to hear. I’ve caught a few and I’m going to tell you about my personal experience; how I go about doing it. I go by the rule of two when it comes to hunting these fish down. The first rule, and this is the most important thing you can do, is to pick the right water. Not all lakes are created equal unfortunately. When you go looking for “Red October”, you need to find the right body of water that will produce such a beast. You’re not going to catch what’s not in the lake, so some research is in order. The general rule of thumb I use is the is bigger the body of water, the bigger the fish. It also needs some depth; and if it has some oily fish like Cisco and whitefish, even better. 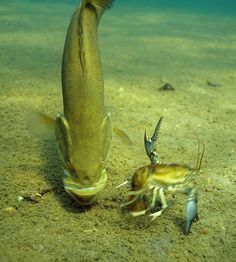 The reason pike don’t get to outlandish sizes in a lot of lakes is because the majority of lakes don’t have this type of bait for them to chase down. Or, the lake just has too much fishing pressure. Oily fish have more calories in them than say a perch of the same size. Also, the depths of the lake have their preferred temperature, which is around 62 degrees, for big pike to thrive. Look for areas that receive little fishing pressure, so remote areas are great. To begin your research, it pays to check out the internet. Specifically, look for information on any body of water that interests you. Check out derbies, tournament results, and web sites like Time on the Water (Georgian Bay), In-Fisherman (for general info and great new ways to catch them), Musky Hunter (spring musky spots can also be good pike spots), Google Earth and boards are great places to start. Some good areas to research are the Great lakes and Muskoka for big fish in southern Ontario. 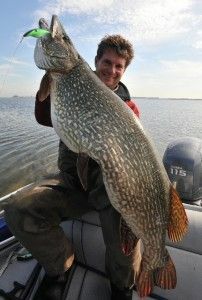 When you do your research you will come across areas that you would never have thought of fishing for big pike like Manitoulin Island. Now you picked your destination and are deciding when to hit the water. Well, I could start by telling what areas and structure to research, but the next most important thing about spring pike is timing. This is the second most important part for fishing for spring northerns. By the time pike opens you have a small window of about 2-3 weeks before the water is to warm for the big ones and they are gone till the fall. Bigger pike tend not to tolerate water warmer than 70 degrees so fishing for them in June when the weather is warmer isn’t really a great option. So you want to go as soon as they open to maximize your success. 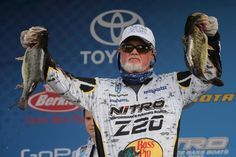 Note that if you plan on fishing with artificial baits, generally you need the water at 50 degrees or more. Well now you picked the lake and the time of the year and the water temp is around 61 degrees; you’re itching to wet a line after a long winter. The first places I would check out are bays on the north side of the lake. These are a great choice because they warm up first. 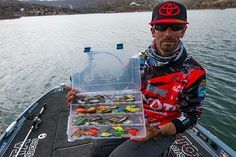 If you are fishing big lakes, and this is especially true of the Great Lakes, you’ll find the majority of spots won’t hold fish, so you have to be able to move around and cover a lot of water. Don’t get discouraged if you have little or no action most of the day as this is common. Remember you’re not fishing for snot rockets anymore. For the big one, you’re trading numbers for size. The rest, no matter how good looking they, are won’t have them for whatever reason. A good idea is to pick an area with a bunch of bays and areas on a map that are close together. Rotate between them a few times throughout the day to determine if they have fish. Weeds, rock, and a little of everything helps; but one thing I noticed is that incoming creeks in bays increase your chances and signs of life. When I mean signs of life, I mean swimming minnows, perch, sunfish, etc. Another good place to look for pike, that is overlooked by many, is beaches with weeds. For some reason, I’ve found them sitting in the weed patches waiting to ambush dinner or right up on shore sunning themselves. Bulrushes are another overlooked choice. I have never found them in the shallow bulrushes in the spring but I have found them in the band in front of them. When I mean band there is usually about a few feet of sand between the rushes; and the weeds in front of them where they sit. I have no real idea why they sit in this band of sand, but I do know some of them are big. One other option for big pike is a bluff wall near a spawning bay ( I learned this from Musky Hunter). Now it could be 100 yards long, but only a small section will have them along it. It’s usually the section closet to shallow water. I also described other lake locations in a previous article so I’ll stop now, because I could go on… Just one more thing; don’t just fish the bays. Check out the points of the bay, any islands, shoals in or around the bays. If any cabbage is present it’s a good idea to fish it a couple times throughout the day. So now you found a few fish. you know this because you caught a few and got a few follows from bigger fish and they won’t bite. Well here’s the thing about these toothy critters in the spring, they are generally more active mid-day. It’s usually somewhere between 11am to about 3pm. It will vary and you can catch them outside of these times. All I’m saying is that there is a feeding window during the day that you should be able to take advantage. Also if you see a big fish in an area and the weather changes for better or worse, head back to the area and give it another go (if it’s safe to do so). They generally stick around an area. One thing I’ve tried doing, and I don’t bother anymore, is trying to catch cruisers. If you see one in the shallows cruising, it’s a waste of time to try and catch it. I’ve never caught a cruiser and I’ve tried everything; or maybe I just haven’t figured it out. I saw one over 40″ cruising up and down the shoreline a few times during the day. My friend and I tried to stalk this fish for hours without success. I know we can’t control Mother Nature. She loves throwing a wrench into the time we booked off work to head fishing. Here are a few tips to avoid having your plans squashed. So say you have a week off for some fishing in late May and the water is pushing 70 degrees; the water is getting a little too warm and you’re worried that your trip is ruined. Well no problem, here’s what I would do. First I would fish the places that warm up last in spring like southern bays and back side of islands attached to the main lake. Also another good choice is islands in the middle of nowhere that have spawning areas around them. Please; if you decide to check out this type spot to fish, do it safely. Some of these islands can be miles away from shore and the weather can turn nasty fast. Remember, these areas the water will still be a little colder than the rest of the lake. Another choice, if possible, is to changes lakes. I would head to one of those deep clear lake trout lakes. Gin clear deep lakes take a while to warm up and you can get an extra week of fishing out of them. There are generally less pike in these lakes but are still great choices and the fish can be big. I use a variety of baits for pike. The baits listed below are my go-to baits for spring pike and have caught them for me in shallow weedy lakes, deep weedless lakes, and in everything in between. 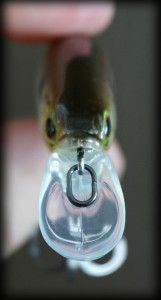 2) A 3/8-oz Z-man white chatter bait with a Cisco pattern Swammer made by X-Zone; this is a deadly presentation when they want to chase bait. You can fish it shallow and even fish it over deep water and they will chase this bait down. 3) Surprise, surprise; It’s the old faithful gold Johnson Silver Minnow tipped with a white grub. It’s a great choice for fishing heavier cover where you wouldn’t dare throw anything with a treble. Another good thing about this bait is that if you keep getting hot follows (with their nose is almost touching it) you can kill it; it will smack them in the face and they will sometimes strike out of anger. 5) Now this isn’t one of my go to baits. I’ve just started using this bait and it’s just to cool not to list. You have to make it yourself. When I learn how to use it and put it threw the grinder a little more, I know it will be dynamite. I’m a fan of In-Fisherman, especially the new ways they come up with to catching big fish. 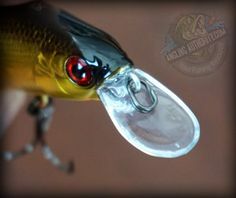 I read an article on taking apart an in-line spinner, slipping a o-ring on the end and attaching a swim bait hook with a weight and a swim bait. This is a fun, versatile bait that is a great choice if you’re fishing in a crowd. Hopefully I’ve given you some useful info on how to target spring pike and how to go about planning it. So remember the rule of two when looking for Red October, pick the right lake and the right time to go and good luck! Jeremy Schneider is an avid multi-species angler. Making his home in Southern Ontario, Jeremy fishes for northern pike and bass. When he is not tournament fishing in the B.A.S.S he can be found enjoying the outdoors hiking and camping. Jeremy has had a lifelong love affair with fishing, He is one of the true northern originals and can remember fishing throughout all of Ontario ever since he was a child. During hard water months, Jeremy can be found studying up on new techniques and tackle to catch his favorite species, largemouth.